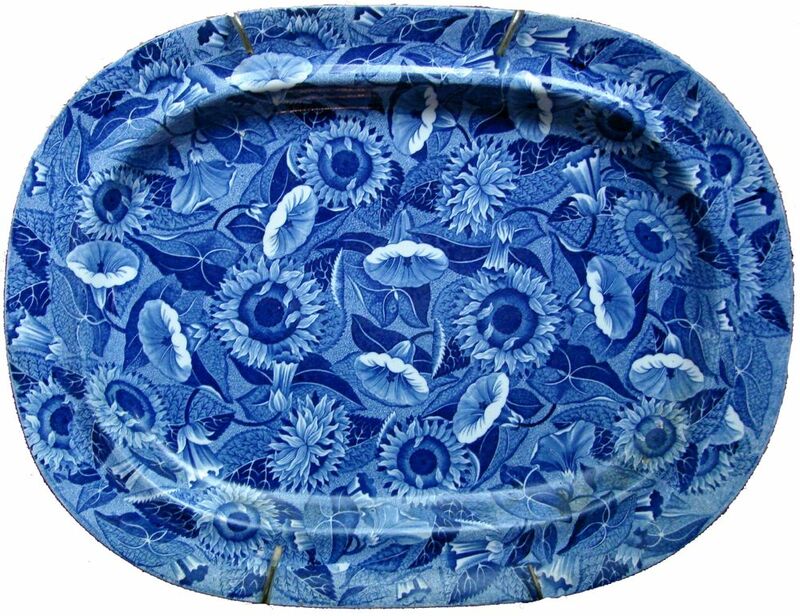 Spode's Convolvulus or Sunflower pattern is one of my favorite patterns. It is perhaps the Holy Grail of floral patterns (at least to me). It is a sheet or all-over pattern comprised of intertwining sunflowers and convolvulus (also known as bindweed or morning glories). The color is a rich and varied cobalt. 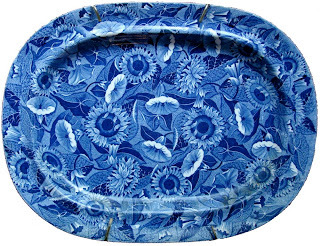 You can learn more about the pattern by visiting the Spode Exhibition Online, http://spodeceramics.com/pottery/printed-designs/patterns/sunflower-convolvulus If you haven't visited this exhibition before, you are in for a rare treat. It is truly a virtual Spode Museum.